The thing I love most about cosplay are the props. Creating a replica from a video game or anime can be really difficult but incredibly fun at the same time. 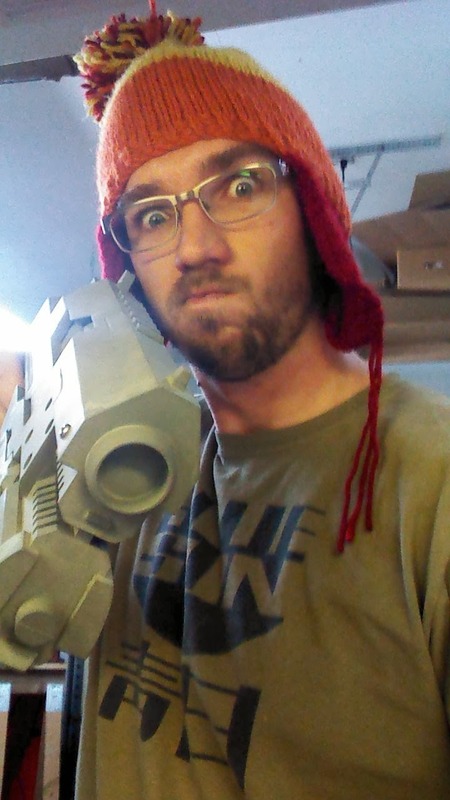 Zach, creator of Quantum Entanglement Props, started making props about two years ago. 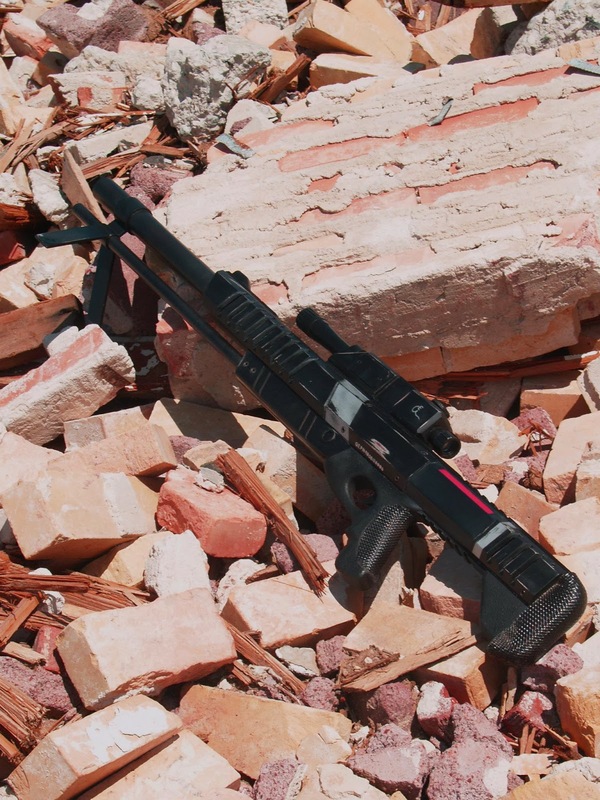 His most popular props have been mostly from the Mass Effect universe, but Zach has been branching out into other guns from series like Firefly and Warhammer 40K. What drew me to Zach's work was his incredible attention to detail and the methods he uses to create his props. 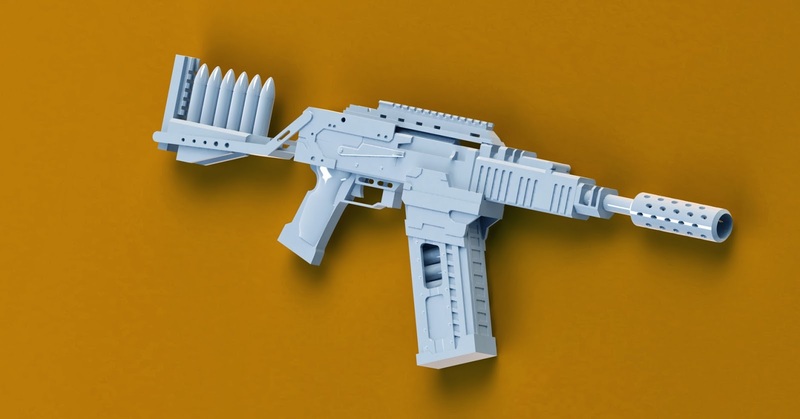 As a woodcrafter myself, I really enjoy seeing his use of MDF board and plastics like styrene, sintra, and PVC to make a really legit looking gun. Zach is also an engineer and his designs really show off his knowledge of how things are put together. He really pulls off art and engineering in his work! 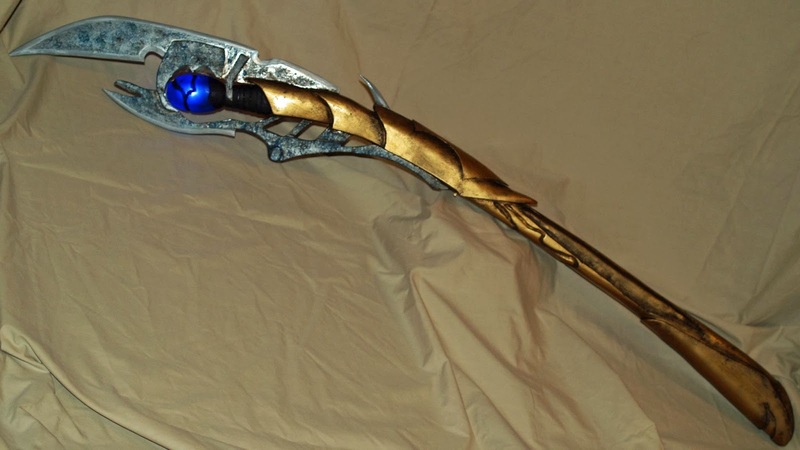 How long have you been cosplaying and making props? I've been making props for about two years now, I'm actually coming up on my second year anniversary on April 2nd. I didn't start cosplaying until the spring of 2013. I went to a little event, called Salt Fest, that summer wearing my jumpsuit that I had done up to look like a Vault Dweller uniform from Fallout. It wasn't a very elaborate costume, but I had a lot of fun! Later that year, at the inaugural Salt Lake Comicon, I had Legion ready and I really felt like I had started cosplaying. What inspired you to start making props and costumes? I've always been pretty good with my hands, I liked building model cars and aircraft. I came across something on Facebook one day about a prop builder called Volpin Props and started looking at his builds. I figured that I could start making something like that too, so I built an M97 Viper from Mass Effect (which I have named Zero Viper) in April of 2012. It was pretty popular with my friends, so I built a Black Widow and created a Facebook page to follow the build. I actually had people start contacting me during that build asking if I could make other things, and it's picked up steadily since then! 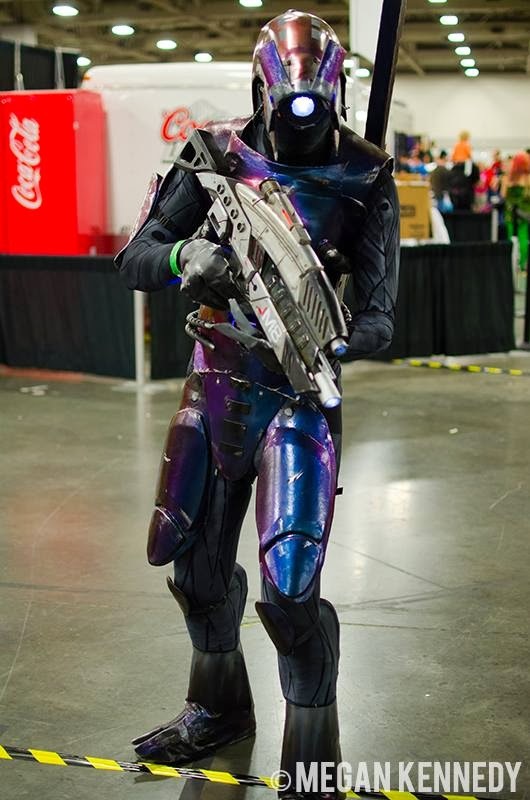 Zach as Legion from Mass Effect. are powered by only eight AA batteries throughout the costume. Why did you pick the name Quantum Entanglement? I'm an engineer, and I've always been interested in quantum physics. At the time there were quite a few sci-fi video games (notably Mass Effect and Portal) and movies being released that referenced the quantum entanglement phenomenon. I wanted to pick a name that was somewhat scientific, and a part of popular culture to try and help people remember it. I'm not so sure I succeeded on that part. I think you succeeded very well! I see that you work as an Aerospace Engineer, which is really awesome. How does this add or take away from the costuming and prop making experience? A little of both. The companies that I work with on a regular basis are on the cutting edge of manufacturing technology. I deal with machine shops that are manufacturing structural assemblies for new aircraft that are still under development, companies that produce composite and bonded metal skin panels, and even a company that manufactures the window panels for commercial and fighter aircraft. I have learned a lot from them, and I try to incorporate their methods into my manufacturing. It also helps to have access to some pretty neat tools and materials! I have quite a bit of knowledge about drafting and 3D modeling, making blueprints, machine design, fiberglass and other composites, molding and casting, vacuum and stretch forming, machining and welding. With all the hands on experience between high school and college, I feel like it puts me at an advantage for building and designing special features into these props! If you follow my props page on Facebook you'll notice that I comment quite a bit about traveling and being out of the shop. Obviously when I'm traveling for my day job it's very difficult to work on my latest project, so there is definitely a down side. Plus, some days I come home from the office just worn out and I don't really have the energy to work in the shop for another 3-4 hours every night. Sooner or later you need a break! Why did you decide to be an Aerospace Engineer? What has been your favorite prop to make so far? Well there's a hard one to answer. Each piece that I do is special to me in different ways. I have my props that are being used in films right now, obviously those are special because so many people are going to get to see them. Recently I did a replica of Deathstroke's combat staff for my friend Nathan DeLuca, I really enjoyed that one because it gave me the opportunity to work with leather and do a full metal build. I'm also really looking forward to building Jayne Cobb's Vera next month and having that signed by Mr. Adam Baldwin himself at FanX this spring. I've built so many things over the last two years, each one is a new benchmark for me. I don't know that I can pick just one. There are many materials that can be used for making props. What are your favorite materials and why? Right now most of my props are done with MDF wood and various bits of plastic. The wood is very soft, and is great to work with. You can cut it easily with a scroll saw, and it sands nice and smooth. It ends up being quite a bit heavier than EVA foam (my arm was sore for several days after Comicon) but it's sturdy! I'd like to start working with metals more, now that I have some machining equipment. 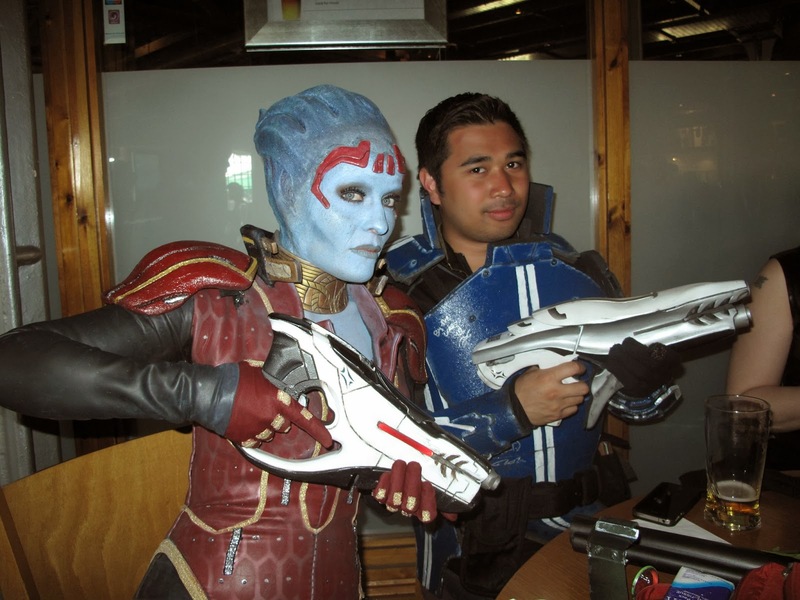 Zach's popularity with Mass Effect props caught the attention of a film school in London. How does it feel to have your work featured in a student film in London? I'm really very excited about the film. I've been in fairly regular contact with the group and filming is going great so far. They plan to be done this summer and be able to premiere the film in the US at Dragon Con. I've made three props for them so far, the Asari Acolyte pistol, M97 Viper rifle, and the N7 Breather helmet. Each of these pieces has a pretty interesting history already, and we haven't even seen the film yet. I'm really looking forward to the film, and I hope to be able to show the film at Salt Lake Comicon this fall! Any advice for costumers wanting to try their hand at prop making? Start something. It doesn't matter what, it doesn't matter where you start, just start. I get quite a few messages from people asking for tips, and the best advice I can give is to just start building. There will be problems along the way, and you will have to scrap some of your work. Accept that, and figure it out as you go. I actually scrapped two separate builds of Legion's head before I got it the way I wanted it. I personally picked Legion because I knew it was going to be difficult. It took me over eight months to build the full suit, but in the end I am extremely happy and proud of how it turned out. If you do hard things, it makes it so much sweeter when you get it done. When you screw something up, learn from it and try again. I would like to thank Zach for his time and for sharing his knowledge on prop making! Check back in two weeks to see an in depth look into on of his props. Thank you for reading!